While running a small business can be extremely rewarding, it’s not always easy. 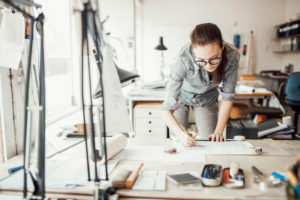 In fact, there are a number of small business challenges you’re likely to meet along the way, and a number of problems faced by small businesses are not unique to any one type of business. Recent statistics indicate that over 20% of businesses fail in the first year, and more than 50% by the 5-year mark. Of course, that means that half of businesses make it to the five year mark, and 80% of businesses to one year. Differentiating yourself – If you’re a handyman, you might emphasize the speed and quality with which you work. As a carpet cleaner, you can work with safer chemicals than others. Think of what added value your business can bring, to define your service as a cut above the rest. Attitude – Your attitude is as important as your service. Part of what people are buying has to do with the experience of working with you. This means you should always be friendly, polite, and radiate competence. Availability – Make sure you’re available to meet customers’ schedules. That means, for example, if you’re a yoga teacher, you may have to say goodbye to the 9-5 and embrace early mornings and evenings. Financing your business – You need to plan for small business financing. That is, where are you getting your setup money from? Do you have savings? An investor? A loan? There are a number of options out there, and you need to pick the one that’s right for your lifestyle, as much as your business goals. Cash flow – It’s extremely important for you to assess all of your business expenses, and then make sure you have the cash flow to cover them, for at least a few months until your business takes hold. These will include one-time startup costs like buying equipment, as well as ongoing costs like salaries, insurance and rent. Accounting – There are a lot of numbers and details involved in running a business from salaries, to taxes, inventory, insurance, the right tax deductions and everything in between. You should either take some sort of introductory accounting course, or hire an accountant to work with your business to make sure you’re getting them right. For people to use your service, they first need to know it exists. And that means marketing. Marketing, of course, can mean many things. And it’s different for different lines of business, as well as different budgets. A personal trainer, for example should be all over social media, uploading pictures and posts, with an active profile of their own. For a landscaper, however, it may make better business sense to focus on word-of-mouth, flyers, ads in local papers and similar endeavors. While all small business marketing challenges can feel overwhelming, using marketing such as social media, business cards, and even magnets can help you overcome them. While you certainly want your business to grow, small business development is a challenge of its own. There are lots of logistics involved from hiring more staff to finding a bigger work space. And of course, this means there are also costs involved. Additionally, you may only want your business to grow so far. While some entrepreneurs want to conquer the world and open branches internationally, others are happy to have a good monthly workflow, with a stable income. That means you need to evaluate two things separately and come up with a small business strategy. First, ideally, how large you’d like your business to grow. And second, how you’re going to accommodate this growth, and potentially acquire small business funding. By considering all of these small business challenges, and implementing solutions from the get-go, you can hopefully get ahead of your competition, and stay there. How Much Work Can You Do Without a Contractor License?